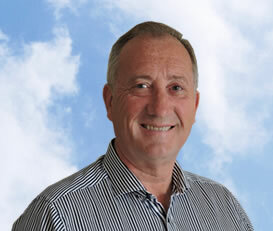 Hi, my name is Gerald and I’ve been involved in travel for over 30 years! My main areas of expertise are Indian Ocean destinations including Sri Lanka (destination specialist), Seychelles, Maldives, Mauritius, and Kenya. I also focus on holidays in Cyprus, Greece, Malta and some unusual destinations like Ukraine and Georgia. Working in the travel industry is more than just business for me, it’s my passion and my life. I can organise escorted tours and exclusive bespoke tailor made travel plans. My Services Providing customer delight is what I focus on at all times. I might ask you many questions in order to fully understand how your next holiday adventure will be even better than before. Life is for living so we might as well make the best of it wherever we go. I can design and organise exactly what you are looking for in a holiday. My clients can contact me at any time. The really great thing is that all my clients are 100% fully financially protected through ABTA and ATOL guarantees. So, whatever your holidays requirements might be please give me a call.